Each rack holds approximately 6,000 LPs. There are 5 racks (4 visible above). Only 3 racks are completely filled. I'm still working on the other two! Hi, my name is Doug Williams and I'd like to welcome you to my little place on the net. 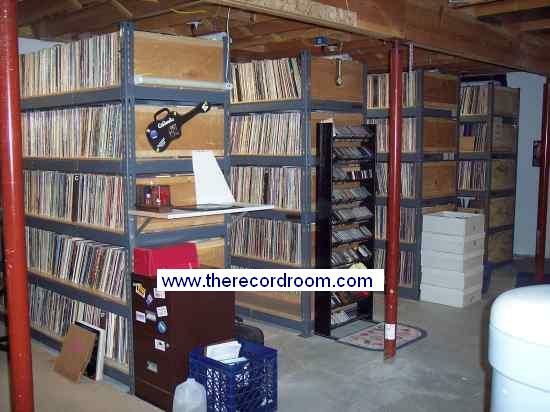 As you may have gathered by the site name, it's a room with records, a lot of records. Wander around The Record Room. Users of the CAT programs, the forum is now up. Click HERE.